Your pool is one of the most important parts of your home and an enjoyable place to relax and cool off. While a backyard pool is certainly a great option, caring for it can be difficult. You may not have the time or knowledge that it takes to keep your pool looking its best. If not, don’t worry. You can hire an affordable pool service in Houston to handle all of your vinyl pool needs. You want the water in your pool to be sparkling clean and clear every day. The pool should be ready anytime you or your family or friends want to go swimming. Pools require some maintenance to keep their water crystal clear. There are several things that you need to know in order to maintain your pool. The proper PH level is essential to good pool maintenance. When the PH levels are imbalanced it could result in cloudy water or in water that has too strong of a chemical odor. Regular testing will ensure that the proper amounts of chemicals are added to the pool when necessary. Many environmental factors can impact the water such as sunlight, rain and debris. It is important to keep debris out of the water. When leaves or other things fall into the pool they decompose and make the water dirty. Removing the debris requires regular skimming with a net to take out the large pieces. If your pool has a filter basket it should be cleaned out regularly. Your pool also requires vacuuming to remove the dirt that has accumulated on the liner surface. Pool service in Houston is available to take care of any or all of the maintenance and services your pool requires. The pool pump and filter must be regularly maintained to keep running at their optimal levels. If there is a malfunction it can often be repaired. There are various parts in the system that might need to be replaced from time to time. If you haven’t used your pool over the cooler months you need to open it for the summer. This can be done with help from a company that provides pool service in Houston. If you drained the water from your pool you will need to refill it. If the water remains you must ensure that it is properly treated to restore it to clean and swimmable condition. A pool cover will help keep debris from falling into the water and is especially helpful if you have trees nearby. The cover can be placed on the pool when it’s not in use so that the water stays clean. However, the water must consistently be tested and treated in order to keep it clear when you want to take a dip. 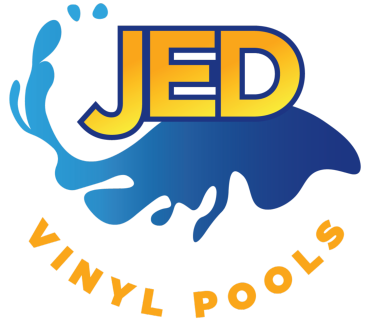 JED Vinyl Pools is a locally owned pool company with experience installing, maintaining and servicing pools in the Houston area. Contact us today to learn more about our high quality and affordable pool services.